I have spoken a number of times about the importance of attending conferences and conventions in order to stay at the top of your game as a fitness professional. I have even put a list of the UK’s top fitness conferences/conventions together to help you decide which ones are for you. This post is going to look at another key reason for attending conferences… that is networking. The old saying goes ‘it’s not what you know, but who you know’ and in some ways I agree with that. Relationships are a powerful thing and can help you to maximise and amplify your efforts in any area of your life. So how can we use conferences, expos and conventions to our benefit? How can we effectively network without falling into stalker category? 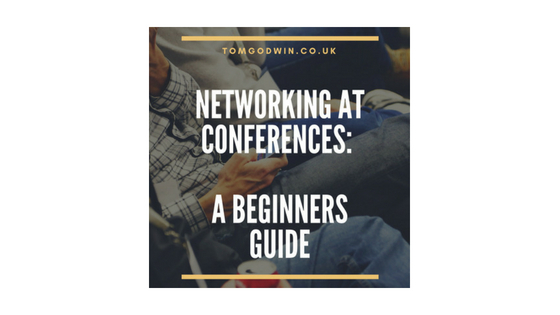 Well this little guide aims to be a step by step guide to getting the most out of networking at events. Be in the right place, it amazes me how many people will go to any old event to try and add names to their contact list. You really need to start all of this off with the overall purpose of networking and that is to meet relevant people and see how you can help them (will come onto this)! But essentially 1000 contacts that are irrelevant to me, my business, my industry, my interest… are worthless. What you need is people who are on the same page as you, moving in the same industry, with similar or aligned goals to yours. Well making sure you can meet the right people is all about being in the right place. so that was just a long winded way of saying pick the right event, I have put together a list of the top fitness conventions, if like me that is your space have a look! Research, understanding the event you are going to attend is vital to get the very most out of it. Get on the website see who is speaking, who is exhibiting and sometimes more important where everyone is congregating (interestingly this might not even be at the conference). By researching the event you will be able to find out who the key people are, what talks are happening, who is exhibiting, and much more. This basic research then sets you up for the next step. Now that your research has given you a clear list of talks and makes of people you might want to see. This list will then allow you to look at the schedule and try and make yourself a running order for the day. This is an important stage that many people neglect, most conferences will cost you in some way to attend so getting the most out of your time there is vital and the only way this can be done is with good planning. I normally plan my days around the key talks and events that I might want to see. Then slotting in time to look up exhibitors I am interested in and also meet with people. Promote your presence, use your social media and e-mail lists to make sure that your contact know you will be at the convention. Let people know that you are keen to make contact with other attendees (that you know and that you do not know). Also maybe make some initial contact with people you may want to spend some time with. I have also published in the past the sessions that I like the look of and put an invite out to come along with me. I tend to use social in the run up and also once at the event, if you are Twitter user like me have a look for the hashtags relate to the event and follow them. Mingle, I have done some of my very best networking off the cuff at events, Remember that the kind of event you are at and the sessions that you chose to attend will help to narrow down the people in attendance where there is at least some shared interest. When in sessions I try and start conversations with those around me, obviously only when appropriate. Find out what people thought of the session, this can then lead into finding out more about them and then if there is any synergy with what you do. Follow up, this is key. Make sure you keep a note of anything or any information that you have said you will send to anyone, make sure this is done in a timely manner. Also if you have made any new contacts it is always nice to follow up an week or so after the event to strengthen that connection. Now a words of warning, at conferences I go to I am often asked for time from people. I am always happy to give it as long as I have it and that I feel the meeting may be beneficial for both of us (I avoid what looks to be a sales pitch). BUT make sure if you meet somebody it should be built on looking at how you can help them or at least you can help each other. I have had a number of meetings in the past where people have just badgered me to help them in one way of anther without really getting to the bottom of who I am and how the relationship could work for us both. I have always liked the idea of looking at any situations and see how you can help others and 9/10 times this approach leads to you getting what you want from a situation.